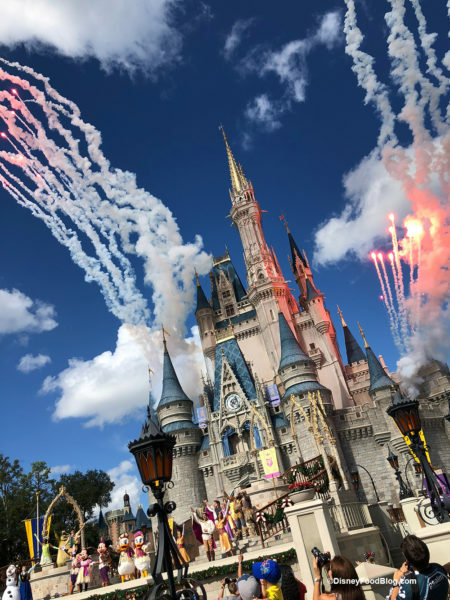 In 2021, Walt Disney World will turn fifty, and we can’t wait to see what kind of epic celebrations are planned for this special event! While we await the details, we thought about all the things we’d like to do at in the World before the big day — some big, some small, and most of them totally unique to the Most Magical Place on Earth! Here are 50 memories to make before Disney World’s 50th anniversary. What’s New in the Magic Kingdom: Everything we Found So Far in the New Year! We’re back! 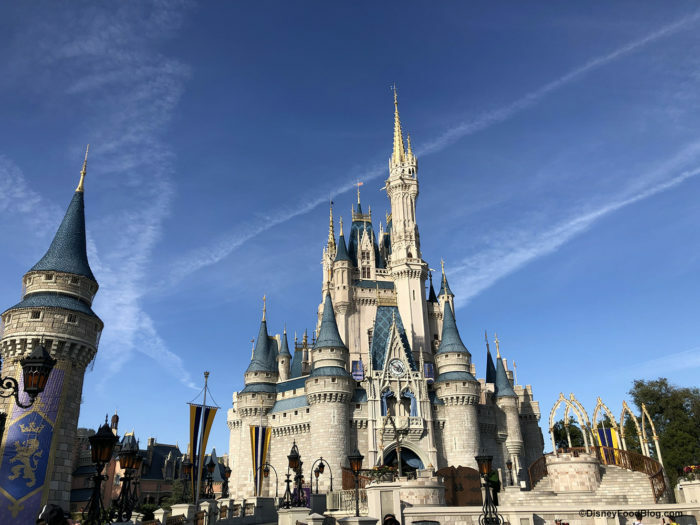 After recovering from (over)eating for the holidays and welcoming in 2019 we headed to Magic Kingdom to see what’s new for the new year in the park. And we were rewarded with some new treats (BIG and small), merchandise, and more. Read along to see everything we found! Disneyland’s Festival of Holidays started is ON, and we have ALL the menus! Start planning what you’re going to eat before you go! And check out our BEST of the Fest here! Epcot’s Festival of the Holidays is in full swing and we have all the menus! Check them out before you go! And, check out our Best of the Fest too! Also, check out all the details on the 2019 Epcot Festival of the Arts, including FULL menus! What’s NEW at Epcot this week! Check out what’s on the menu for the Tasting Sampler at Animal Kingdom. We reviewed the new Storybook Dining at Artist Point with Snow White! We shared the NEW holiday milkshake at Beaches and Cream. Aunt Polly’s is going to open for the holidays at the Magic Kingdom and we checked out the menu! 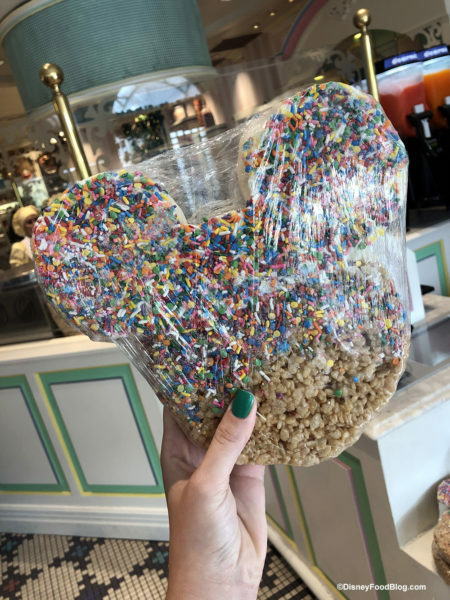 Check out the Edible Cookie Dough Mickeys in Disney Springs! An Adult Cove is coming to Typhoon Lagoon for the holidays! We reviewed brunch at the Grand Floridian Cafe. A new Mary Poppins-themed cupcake has arrived in the Magic Kingdom. Potion Purple Minnie Ears are now available in Disneyland. We reviewed new menu items at Springs’ Street Tacos Food Truck. Check out our first look and full review of the Tropical Hideaway in Disneyland. See more first look details here. We checked out holiday drinks and tacos at Jock Lindsey’s Hangar Bar. We shared what’s new at the Magic Kingdom this week. Check out details on the NBA Experience coming to Disney Springs in 2019. New Sorcerer Mickey Harvey’s bags have arrived at Disney World! We spotted construction equipment on the World Showcase Lagoon in Epcot. Check out the new Guest Experiences Team we spotted in the Magic Kingdom! Potion Purple Minnie Ears are coming to Disney World next week! We reviewed the new Chicken Wings at Capt. Cook’s at Disney’s Polynesian Village Resort. Check out the new Starbucks tumblers at the Magic Kingdom. Wetzel’s Pretzels reopened in Disneyland’s Downtown Disney District. We spotted some holiday merchandise on sale at Disney World! Check out the 2019 merchandise we spotted at Disney World! The Liberty Square Riverboat reopens this weekend at the Magic Kingdom. We shared what’s on the menu at The Plaza Restaurant at the Magic Kingdom! Check out these Mickey-shaped sugar cubes at Disney World. 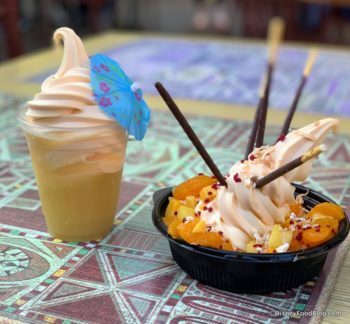 We shared our ultimate guide to all the restaurants opening in 2019 at Disney World and Disneyland. This favorite Epcot cupcake got a holiday makeover. Check out these adorable holiday treats at the All Star Music Resort. A new Taste of the Magic Kingdom tour was announced. Palo and Remy announced price increases on the Disney Cruise Line. We shared a sneak peek at the menu coming to Jaleo in Disney Springs. Check out how to get the Starbucks “You Are Here” Disney mugs when you’re not in the parks. We shared a reader review of the Jingle Bell! Jingle BAM! Dessert Party. New DFB YouTube videos: 37 Hidden Gems in Disney’s Animal Kingdom, Is Disney World After Hours Worth It?, Where to Get Your Taco ON at Disney World, and the 2018 Disney Year in Review. 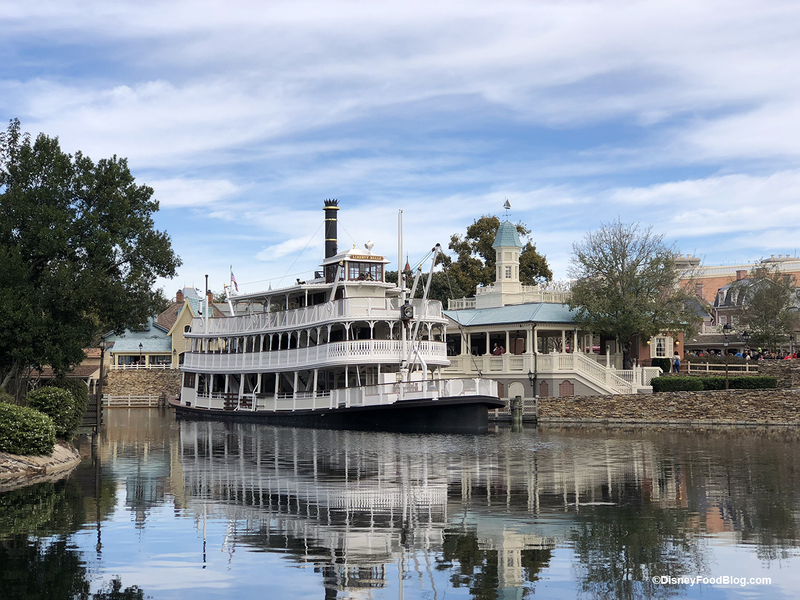 We’ve been following along as the Liberty Square Riverboat in Magic Kingdom has been doing some test runs on the Rivers of America in Liberty Square. Construction Update and Photos in Disney World’s Magic Kingdom — Including Tron! Disney World’s Magic Kingdom is busy as they work to build the new Tron attraction opening in 2021 for the park’s 50th anniversary (can’t wait!). This week a popular, and original ride was temporarily closed as they continue construction on the new Tron attraction. 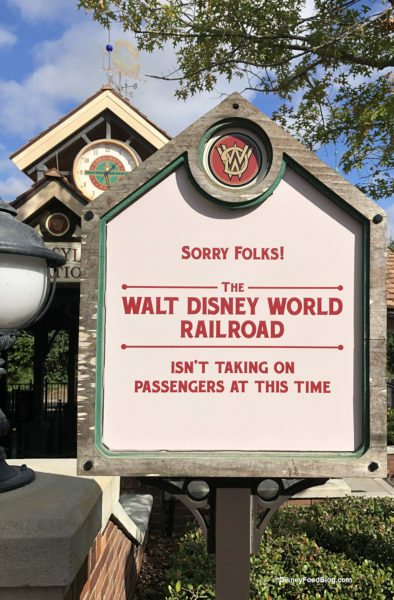 That’s right, the Walt Disney Railroad isn’t running as Tron’s construction nears the railroad tracks, but it isn’t all bad news for fans of the train. What’s New in the Magic Kingdom This Week: All the Eats, Updates, Treats, Merchandise and More! Between decorating the park, kicking off Mickey’s Very Merry Christmas Party, and introducing a bunch of treats and sweets the Magic Kingdom found a way to do even more updates! We collected all the menu updates, merchandise introductions, refurbishment projects progress, and even more holiday eats right here for you! That’s a view that we could look at all day! Cinderella Castle, Fireworks, and Characters! Even Mickey is there — before his big day this weekend when he turns 90! 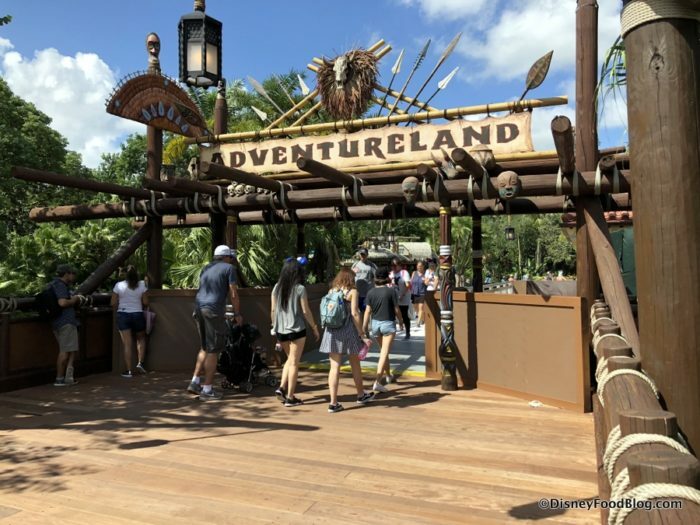 Magic Kingdom Construction: Club 33 Location in Adventureland and More!